A parcel of land can serve so many different purposes and has so many different inhabitants. We tend to think first of how we as humans use the land – for farming, ranching, playing, and residing. But the land is also home to many, many native plants and animals. The dirt itself is the product of billions of years of geological changes. Biosphere reserves are ecologically significant regions that promote sustainability and conservation by engaging all community stakeholders. The needs of all – from birds and plants to farmers and tourists – are taken into consideration, as well as the needs of future generations. There are 598 biosphere reserves spread over 117 countries in the World Network of Biosphere Reserves. The Redberry Lake Biosphere Reserve is the only reserve in Saskatchewan, and it’s a wonderful place to visit. The Reserve covers 112,200 hectares in the Prairie pothole region – small ponds and marshy areas carved out by the retreating glaciers. At its heart is Redberry Lake, a saline lake that was formed from a huge chunk of ice left behind by the glaciers. 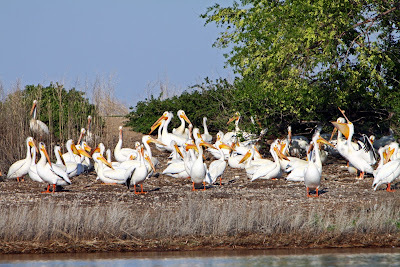 The lake is one of only 10 nesting sites for the American White Pelican and the Piping Plover, and it’s on the migration route for the Whooping Crane, North America’s rarest bird. Approximately 1,000 people, primarily of Ukrainian origin, live in the area, which includes the Town of Hafford. There was a plan in the 1980s to turn the area around the lake into a recreational resort, but community members stepped in and said no, that’s not a good idea. 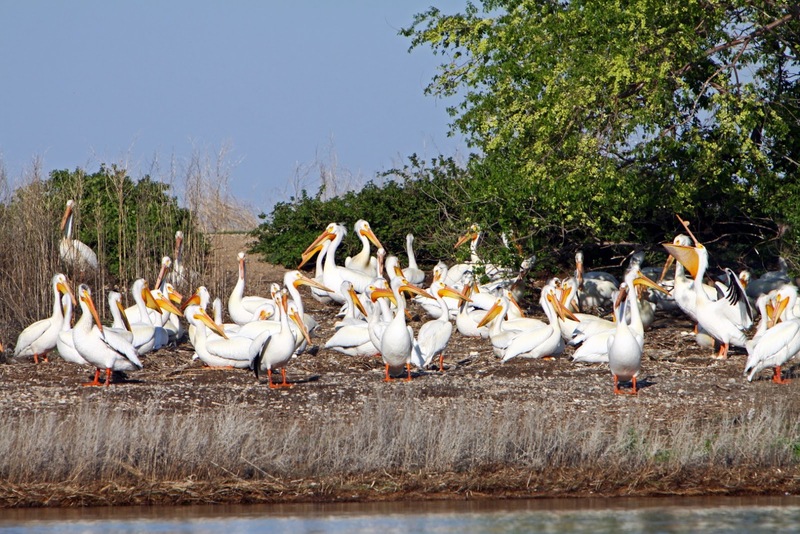 At first, the focus was on protecting the pelicans as they were a threatened species at that time, but gradually the project expanded to include all aspects of sustainable, shared land use. The community remains at the heart of the biosphere reserve. Reserve employees don’t set rules. They simply make recommendations and explain best practices. The programs at Redberry Biosphere Reserve address the needs of local residents, visitors, educational institutions, and wildlife. One of their main projects is the Agri-Environmental Group Plan, which encourages farmers and producers to implement beneficial land management practices. 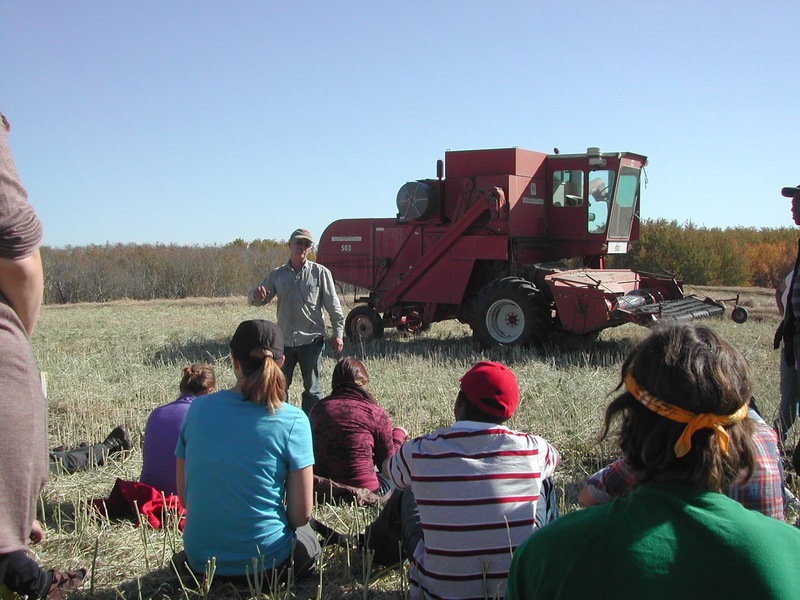 Funds are available through the Canada-Saskatchewan Farm Stewardship Program to offset the cost incurred in changing certain farming practices. Started in 2006, the program has already brought $4 million into the region. Building on previous community initiatives, the members of the Redberry Lake Biosphere Regional Planning Initiative have been working with a local planning firm to develop the final draft of a comprehensive planning framework to guide growth and development over the next 25-plus years. This includes the development of a volunteer district planning commission, a comprehensive District Plan and Official Community Plans, zoning bylaws, and reference maps for each of the participating member municipalities. A complementary process – known as Land and Infrastructure Resiliency Assessment (LIRA) – includes the development of flood modelling tools and maps that will be incorporated into the district planning framework to help guide development in order to mitigate the potential for flooding. This program is being developed by the Science and Technology Branch of Agriculture Canada with guidance from the local stakeholders and technical group who make up the Regional Planning Initiative. The reserve is partnered with the School of Environment and Sustainability at the University of Saskatchewan, and groups of students come out on a regular basis to assess the land, identify plants, and talk to local residents. Students from Hafford Central School come out to do water monitoring and creek dipping. Redberry collaborates with the Saskatchewan Watershed Authority and the Water Security Agency to monitor the level of the lake. As part of the network of Migratory Bird Sanctuaries and Important Bird Areas, they monitor the local bird population. The Reserve is always looking for ways to reach out and involve the local community. This past summer, they set up a Community Farmers’ Market in Hafford. They offer summer programs and, in 2012, hired a summer student to organize a weekly kids’ club. A recent winter program took kids and families out on snowshoes around the lake. One of the next projects that Susanne Abe, the Reserve’s Communications Coordinator, would like to develop is a map of the biosphere and its surrounding area to show visitors all the things there are to do in the area (from hiking trails to Ukrainian churches). “Sometimes people say there’s not much to do in Saskatchewan, but that’s not true,” Susanne says. Susanne’s father is the Executive Director of the Rhőn Biosphere Reserve in Germany, so when Susanne and her husband, Thomas, decided to spend a year in Canada, they chose to volunteer at a couple of Canadian biosphere reserves. Susanne had spent four years in communications, so when she arrived at Redberry in October, 2011, she set about updating the Reserve’s website with IT help from her husband. They stayed to experience a Saskatchewan winter and have ended up settling in indefinitely. “We’ve bought a house and really like it here,” Susanne says. The Rhőn Biosphere Reserve is well established and successfully integrates conservation and economic development. The area includes 10,000 kilometres of hiking trails, including a long-distance trail that runs for almost 180 km. 250 local food producers carry the “Quality of the Biosphere Reserve Rhone” trademark that encourages people to support local food producers. Since 2006, the Redberry Lake, Charlevoix, and Georgian Bay Biosphere Reserves in Canada have collaborated with the Rhőn Biosphere Reserve to establish “quality economies” in sustainable tourism, agriculture, and conservation, supported by research and monitoring. The first joint project is a trilingual brochure. Partners in the World Network showcases each reserve’s land and activities and promotes tourism to the sites. Redberry Lake Biosphere Reserve also attracts researchers and visitors from other countries, such as Ukraine, Japan and Australia, who study this area as a “best practice.” In 2013, a graduate student from the University of Grenoble, France, will join the team at Redberry Lake as an intern for four months. Summer or winter, Redberry Lake offers a wealth of recreational opportunities. There are hiking trails, water activities, opportunities for skiing and snowshoeing, and the Research and Education Centre has displays and informational material. Redberry Lake’s website provides a wealth of information about the region, with a quarterly newsletter, publications, and research reports.